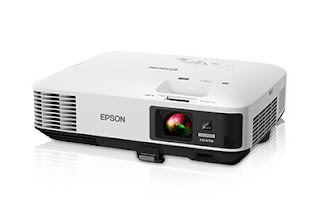 Epson’s newest projectors are the Home Cinema 1040 ($799) and the Home Cinema 1440 ($1,699), which respectively put out a rated light output of 3,000 and 4,400 lumens. Both are 1080p projectors with integrated speakers and MHL support, with the Home Cinema 1440 adding 1.6x optical zoom and Faroudja DCDi Cinema processing. You’ll be able to get your hands on these, this month! The Home Cinema 1040 and Home Cinema 1440 feature up to 4,400 lumens of color brightness and 4,400 lumens of white brightness. Epson’s newest projectors feature widescreen, Full HD 1080p big-screen projections for your living rooms. They also feature advanced image quality technology, built-in sound and setup tools for placement, two HMDI ports and MHL support for connecting a Blu-ray player, Chromecast, Apple TV, gaming console, Roku Stick and more. It pretty much makes these projectors a home entertainment hub! These projectors come in a compact design so you can easily install them on a ceiling, place them on a table, or easily put them up on a shelf. They also have a horizontal image correction with easy-slide control technology and an advanced home screen for easy navigation and set up. The Home Cinema 1440 has a split screen capability, so you can project two different videos or still images side by side. The Home Cinema 1040 at $799 and Home Cinema 1440 at $1,699 will be out this month at specific stores and online sites nationwide. 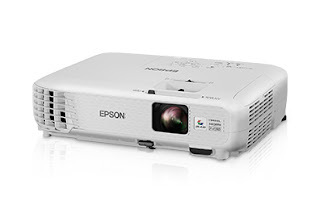 Both projectors come with Epson’s service and support, as well as a 2-year limited warranty with toll-free access to Epson’s PrivateLine tech support. They also come with a 90-day limited lamp warranty and free two-business-day exchange with Extra Care Home Service.